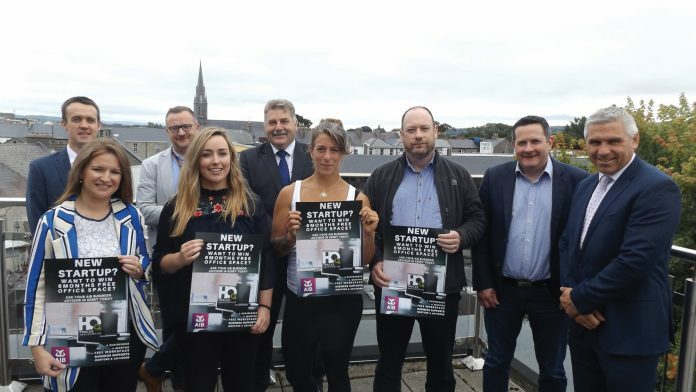 In May HQ Tralee in association with AIB Kerry launched a new innovative competition for start-up businesses in Kerry. The prize on offer was 6 months free desk space with HQ Tralee and HQ Listowel for four lucky start-up businesses and also peer to peer business advice and supports for the lucky winners. The winners include John Kelly who has established a product design solutions business providing a one stop shop for taking product ideas from concept to production. John who has a background in mechanical and product design will be based out of HQ Listowel. Colette O Connor who will also be based at HQ Listowel has established an events planning, marketing and virtual administration business. With many years’ experience in event planning and marketing, Colette brings a wealth of experience to her new start up. The third winner is Caroline Birch who launched Wild Adventure Way earlier this year. Caroline who was the winner of the best idea category in the 2017/2018 Irelands Best Young Entrepreneur (Kerry) Programme has developed a very smart app-based solution for the adventure tourism market. By bringing Ireland’s best adventure experts together on one platform, Wild Adventure Way will showcase Ireland as the ultimate adventure destination that it is. Our final winner is Clodagh Shannon who has just established a new business providing personalised diaries for people who are on fitness and diet programmes. The diary allows people to record their daily activities and will also include personal and business goals and organisers. The business is at an early start up stage, but already, Clodagh has received numerous orders and is negotiations in relation to affiliations with gyms and weight loss programmes. “We have been interested in running a competition like this for some time with a view to giving new start-ups an opportunity to develop their business in an environment that encourages collaboration and creativity. We wanted to remove the barriers for start-ups by providing free space and access to mentors and business advice” stated Tom O’Leary co-founder of HQ Tralee. We approached AIB in Kerry as they have always supported our business model at HQ Tralee. 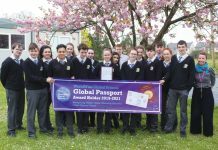 We are delighted to partner with AIB Kerry who are sponsoring the competition. 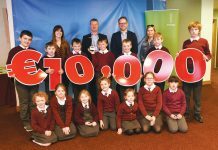 We welcome the opportunity to sponsor this initiative and are delighted to be partnering with HQ Tralee on providing this great opportunity to our business customers. AIB are committed to supporting start up and small business and the real business supports for the winners reflects our Backing Brave ethos.” stated Sean Healy, Head of AIB Kerry. Each of the start-ups have taken the brave decision to develop their idea and launch a new business. With the support of having a base at HQ and with the support of the team at HQ these businesses will develop and grow.